Hi….I wanted to make sure to tell you upfront that I am a Saline Ambassador for Boogie WIpes. With that being said rest assure that I only give honest opinions. The opinions are my own and always will be. Thanks for visiting. Boogie Wipes are a must have for the school year. 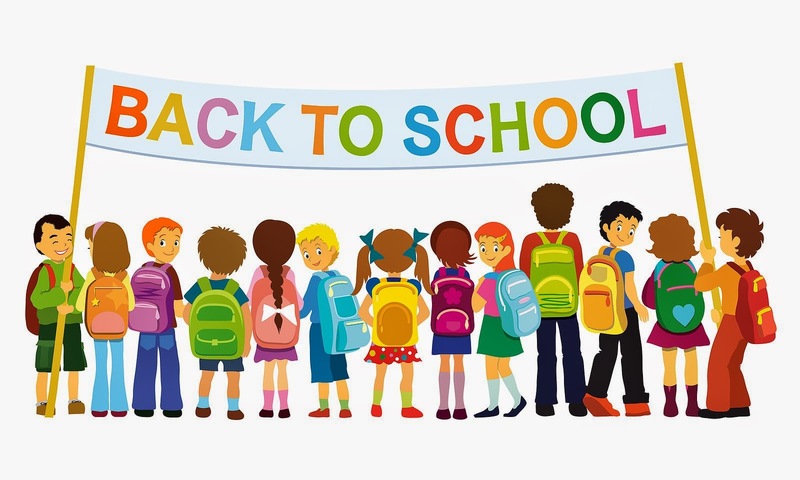 They are great to keep in the kids backpacks, locker, desk, and don't forget the teachers desk. The days of giving the teacher a apple are long gone! Mom's and Kids of the 21st century give Boogie Wipes! Boogie Wipes are made with saline to dissolve boogies caused by the common cold, allergies or otherwise booger-filled kid moments. Extra soft and scented in Great Grape, Fresh Scent, Magic Menthol, Simply Unscented and Boogieberry, Boogie Wipes are recommended by Pediatricians as a gentle, effective alternative to a dry tissue. Busy Body Moms are not responsible for delivery of winning prize. 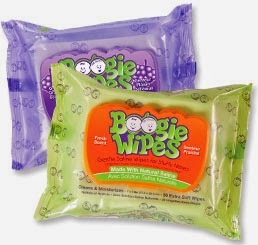 We love Boogie Wipes and I used them all the time when my daughter was younger. I think they are probably one of those must have back to school items! I love Boogie Wipes. I do not leave the house without having them in my diaper bag. I usually keep them in my bag when I go out. too! I love Boogie Wipes. I have been using them in my house for years. They work incredibly well, don't they? I've never heard of these (probably because my kids are older). Definitely a must have for young children! Does my dog count? He's a drooly mess! :) But the winter is coming, and my 3 year old is definitely the boogery-est of us all. we are a huge fan of boogie wipes. My kids love that they are softer than tissues and gentle on their skin unlike baby wipes. With two little ones, I bet my sister could use a bunch of Boogie Wipes! Thanks for hosting a great giveaway, I am going to enter for her! These are great for the car. I'd love to send a pack or two to my son's daycare with him! Such a great product idea, just wish my kids would use them instead of their hands! Those came out too late for us, although we still walk around with some for my 11 year old! We use them too! These are so great! So gentle on little noses. Hubby needs these the most. Love Boogie Wipes. i use these for my kids too. They are great. With 5 kids one of them is bound to have a dirty nose! I love boogie wipes. They are perfect for kid messes, I always have them with me. Currently I do, but with back to schools starting tomorrow I'm sure my little 2nd grader will have the most boogies. I love Boogie Wipes. I use everything they carry except the 'flushable' wipes. I send them into my daughters school and use them for my dacyare. These are awesome in a preschool classroom!! Thanks for the giveaway!! We always keep wipes on us. Especially in the car and when we travel. These are one of the best inventions. I have 3 kids so they are helpful! I love the name and branding for this product! Too bad they were not around when my kids were younger! What a cool giveaway! These would be great to pack in children's book bags! We love Boogie Wipes in our house! They are great - so this is a wonderful giveaway! We love Boogie Wipes here so much! They are worth every penny! What a great product! I'll need to try them! My son has the most boogies, and he just started picking them...not fun for this mom. I need Boogie wipes! Booge Wipes are great! I love keeping them on hand for my kids. My son is the boogie monster! I swear that he always has a boog in his nose! I have never heard of Boogie Wipes. They look like a product I would use though! They would definitely come in handy with the kids! My daughter definitely has the most boogies in the family! She's two and she's fascinated by them. We keep Boogie Wipes on hand! LOL! We love Boogie Wipes! They work incredibly well and come in handy when we are on the go. Boogie wipes are awesome. Great giveaway! My nephew has the most boogies! my son have the most boogies. It used to be my 5 year old but I'm going to have to say his little sister now! My daughter - with her allergies - has the most boogies! My 1 year old has boogies but I would say my 8 year old is the worst with his crazy allergies!